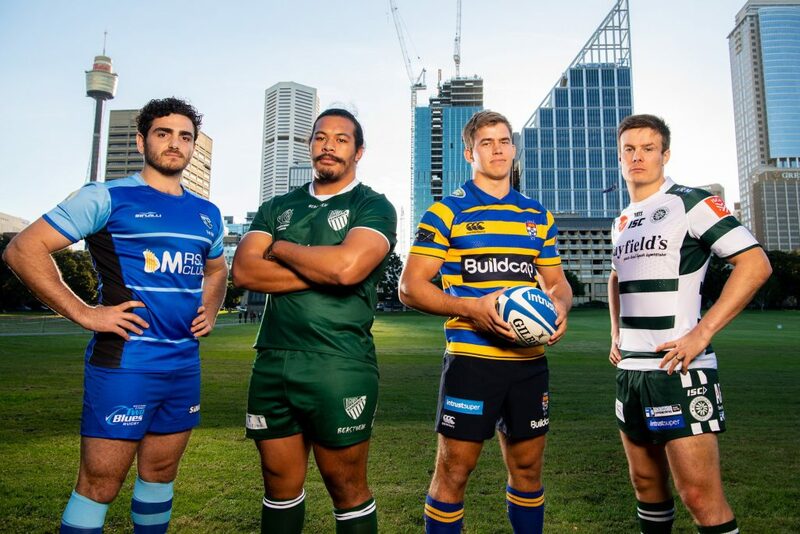 With the enthusiastic backing of Rugby Australia and NSW Rugby, the Sydney Rugby Union’s 2019 Intrust Super Shute Shield season kicking off this Saturday was launched in fine style on Wednesday night at the offices of one of Club Rugby TV’s principal sponsors Charter Hall. In the presence of Rugby Australia chairman Cameron Clyne and NSW Rugby CEO Andrew Hore, Sydney Rugby Union president David Begg used the event, attended by participating clubs, sponsors, men’s and women’s players, senior rugby administrators and media, to emphasise the importance of the historic grassroots competition, now entering its 96th year. His speech also focused on the challenges facing team sports around the world, stressing the importance of “all parties buying in” to ensure the continued integrity and success of the premier Sydney rugby competition. David Begg warmly praised the efforts and importance of Club Rugby TV’s television coverage on 7TWO and Fox Sports, saying the coverage shows “just how good our product is”. He added: “We appreciate more than anything else, the work of the volunteers who make the competition so strong and vibrant. It is our hope that women’s rugby continues to grow and that all Shute Shield clubs will be in a position to stage a women’s fifteen-a-side competition in 2020”. Club Rugby TV co-founder Nick Fordham welcomed four new sponsors – Canterbury, the Good Beer Company, Musson Jewellers, IPO Wealth and Bell Direct – to the 2019 competition, adding that all sponsors from last year had remained on board for another year, headed by naming rights sponsor, Intrust Super. “Our sponsors have easily been able to identify the value of being associated with an iconic competition that’s been played continuously in Sydney since 1923,” he said. “Importantly, our sponsors are thriving on the network potential that’s part and parcel of what we offer and the complimentary audience we offer to promote their businesses”. Reigning premiers Sydney University will meet arch-rivals Eastern Suburbs at Sydney University at University Oval No. 2 on Saturday, the match live on 7TWO at 3pm, with replays later on Fox Sports.